While humans and other species share some of the same genetic information, new research found that humans are unique among mammals when it comes to the types and diversity of microorganisms on our skin. This difference could have implications for our health and immune systems. "We were quite surprised when we saw just how distinct we humans are from almost all other mammals, at least in terms of the skin microbes that we can collect with a swab," said Josh Neufeld, a professor of biology at the University of Waterloo and senior author of the study. A team made up of researchers from the University of Waterloo and the University of Guelph conducted the most comprehensive survey of mammals to date and found that human microbiome—the collection of microorganisms such as bacteria, fungi, and viruses that naturally occur on our skin—contains significantly less diversity than that of other mammals. "The first line that gets hit by modern hygienic practices is our skin," said Ashley Ross, a co-author of the study and a graduate student at Waterloo at the time of the research. "Our skin is the largest organ of the body and the main barrier to the external environment." Living in homes, bathing and wearing clothing may all have contributed to the unique makeup of microbial communities on human skin. Habitat was another important factor linked to the skin microbes on mammals that were sampled for this study. Despite these important influences on mammalian skin microbial communities, the study found evidence that microbial communities on mammalian skin may have changed over time with their hosts, a phenomenon called phylosymbiosis. 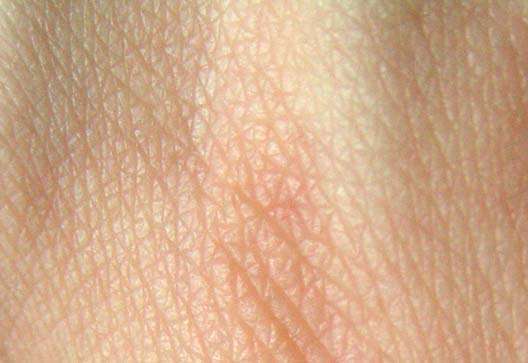 "We were able to measure phylosymbiosis between some of the mammalian classes and the corresponding communities on their skin," said Kirsten Müller, a biology professor at Waterloo and co-author of this study. "It's exciting that we can still see this signal despite the contribution of habitat to the skin microbial community." The team, which also included J. Scott Weese, a professor at Guelph, plans to further examine whether co-evolution has taken place between skin microbial communities and their hosts, which is one mechanism that may account for their observations of phylosymbiosis. The study appears this week in the Proceedings of the National Academy of Sciences and received funding from the Natural Sciences and Engineering Research Council of Canada and the Canadian Institutes for Health Research funded the project.